3rd: M Bourn struck out looking. 6th: M Prado grounded out to second. 8th: M Prado flied out to right. 8th: B McCann homered to right (387 feet). 1st: F Freeman grounded out to second. 4th: F Freeman grounded out to third. 7th: F Freeman singled to right, D Uggla to second. 4th: M Diaz lined out to center. 7th: M Diaz safe at first on error by right fielder L Duda, D Uggla scored, F Freeman to third. 9th: J Francisco flied out to left. 2nd: J Heyward grounded into fielder's choice to shortstop, M Diaz out at second. 5th: J Heyward grounded out to third. 7th: J Heyward doubled to deep right center, F Freeman and M Diaz scored. 9th: J Heyward popped out to second. 2nd: J Wilson grounded out to third, J Heyward to second. 5th: J Wilson grounded out to shortstop. 7th: J Wilson hit sacrifice fly to left, J Heyward scored. 2nd: M Minor grounded out to shortstop. 5th: M Minor struck out swinging. 7th: J Constanza struck out looking. 1st: R Tejada doubled to deep left center. 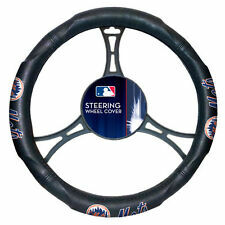 5th: R Tejada singled to left, J Niese to second. 6th: R Tejada doubled to left, L Duda and S Hairston scored. 8th: R Tejada singled to right. 1st: D Murphy grounded out to second, R Tejada to third. 4th: D Murphy doubled to deep right center. 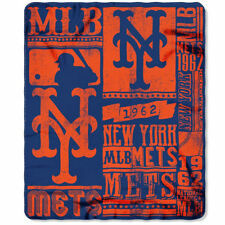 5th: D Murphy doubled to left, J Niese and R Tejada scored. 1st: D Wright hit sacrifice fly to center, R Tejada scored. 7th: D Wright singled to center. 4th: I Davis walked, D Murphy to third, D Wright to second. 5th: I Davis flied out to left. 7th: I Davis grounded into fielder's choice to first, D Wright out at second. 2nd: J Bay struck out looking. 4th: J Bay hit sacrifice fly to left, D Murphy scored, D Wright out at third. 7th: J Bay singled to left, I Davis to second. 4th: L Duda flied out to center. 6th: L Duda singled to left, J Bay to second. 7th: L Duda walked, I Davis to third, J Bay to second. 2nd: S Hairston popped out to first. 6th: S Hairston doubled to deep left, J Bay scored, L Duda to third. 7th: S Hairston grounded into double play, third to catcher to shortstop, I Davis out at home, J Bay out at third, S Hairston to first. 3rd: M Nickeas grounded out to third. 5th: M Nickeas struck out swinging. 8th: M Nickeas grounded out to shortstop. 3rd: J Niese struck out looking. 5th: J Niese singled to shallow left. 6th: J Niese struck out swinging. Jonathon Niese took a no-hitter into the seventh inning in his first start since signing a rich contract and the New York Mets completed a season-opening sweep of the Atlanta Braves with a 7-5 victory Sunday.